Robert Coover Discusses "Huck Out West"
Robert Coover discusses his latest novel, Huck Out West, in a free, public event. At the end of Mark Twain’s masterwork, Huckleberry Finn declares that he plans to “light out for the Territory” to avoid getting “sivilized.” For 130-plus years, readers have been left guessing about his adventures in the West, but now, thanks to Robert Coover, Huck is back. The children of Twain’s books—Huck, Tom Sawyer, Becky Thatcher—have grown up in the West. Huck is still Huck, retaining his principled rejection of the fame and fortune that Tom, who has married Becky and learned some law from her father, determinedly seeks. They eventually meet up in Deadwood at the outset of the Black Hills gold rush in 1876, at the very moment Huck is about to flee “sivilization” again, in company with a young Lakota native who “was having about the same kind of trouble with his tribe as I was having with mine.” It wouldn’t be a Huckleberry Finn story without Jim, who has his own parallel exploits in the re-United States. 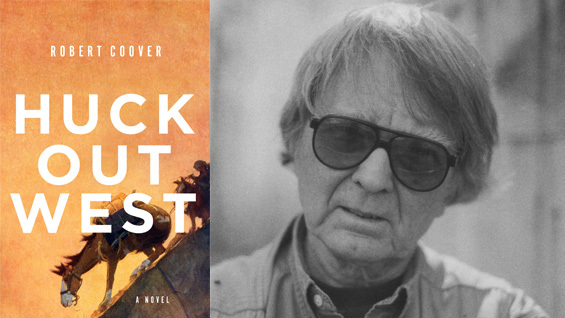 Robert Coover is the author of The Origin of the Brunists, winner of the 1966 Faulkner Award for best first novel, which has its fiftieth anniversary in the fall of 2016; The Universal Baseball Association, Inc., J. Henry Waugh, Prop. ; Ghost Town; and Spanking the Maid, among many others. He is a pioneer in the field of electronic writing and ran the International Writers Project at Brown University. He lives in Providence, London, and Barcelona.